The name Replogle has been synonymous with globes since the company’s founding in 1930. The company is named after founder Luther I. Replogle, a onetime school supplies salesman that saw a need for globes in every home. Luther and his wife Elizabeth Replogle, known as “Rep” and “Bets”, started the company in their apartment and an adjacent basement with $500 borrowed from friends. After a rocky start during the dawn of the Great Depression, the new company’s first big break came when the eminent Chicago retailer, Marshall Field and Company (Now part of Macy’s) selected Replogle to produce a globe for the Chicago Century of Progress World’s Fair in 1933. 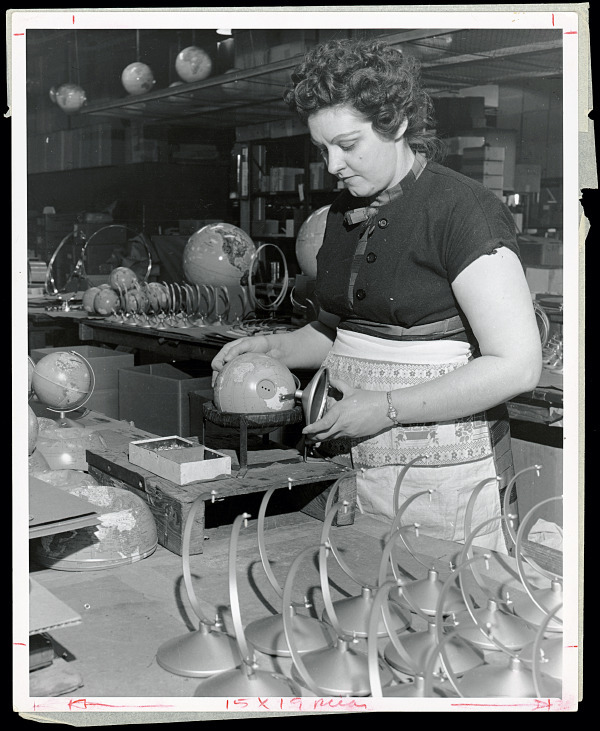 After a lull in business prior to the U.S. entry into WWII (1938 through 1941), the new company kept growing to meet the need for globes. Later as the nation fought, U.S. President Franklin D. Roosevelt asked families to have a map or globe handy during his radio addresses to the nation. 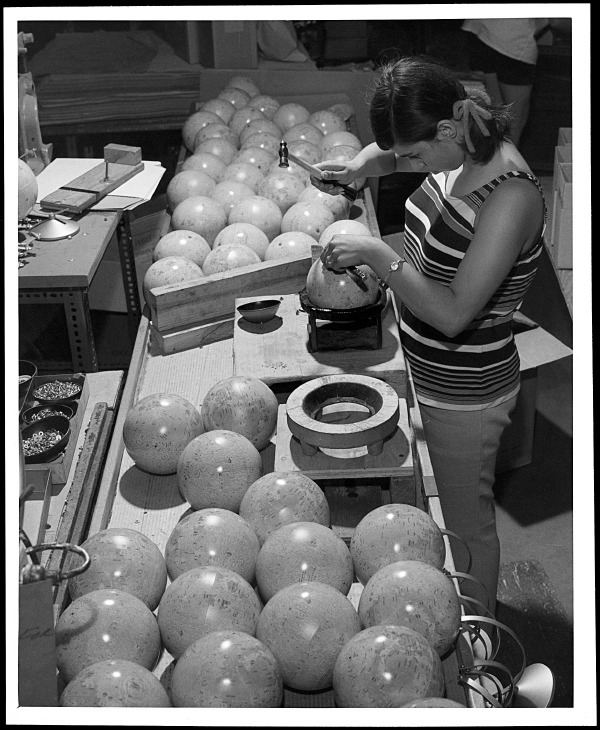 The changes in borders as a result of the war and the economic boom times after WWII kept the demand for globes growing well into the 1970s. 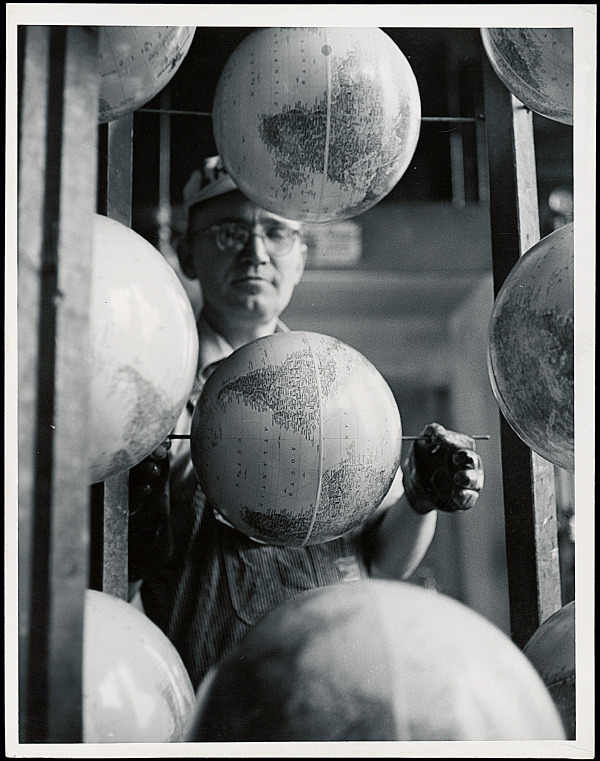 When the company started, Replogle made globes by buying printed globe sheets from another company, cutting them into strips called gores, and painstakingly hand fitting the gores together and assembling the globes by hand. As the company grew, the hand crafted tradition continued, and cartographers hired by Luther then created exclusive maps to be printed for our globes. Special heated forming presses were purchased to form the globes into spheres and Replogle could then make thousands of globes. 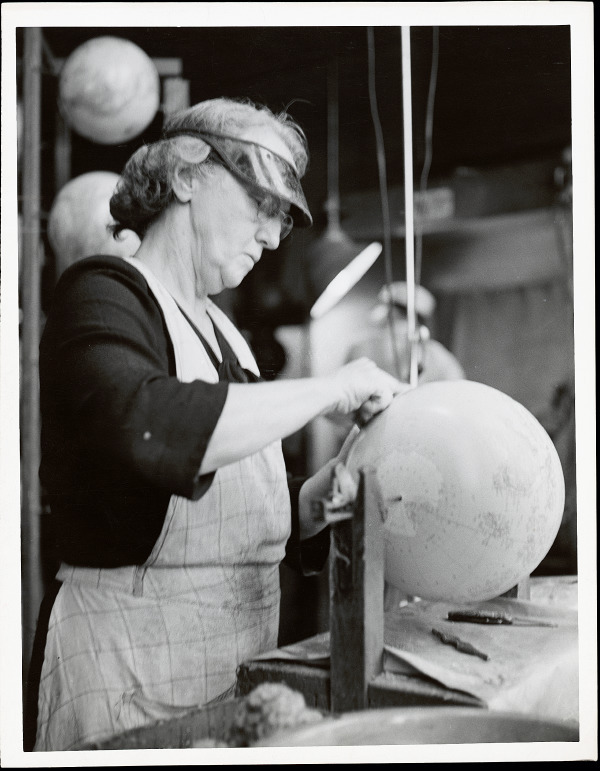 The company continues to make hand covered globes the old fashioned way, but globes made from the new process are more economical and allow most anyone to afford a globe. Luther Replogle sold his growing company to Meredith Publishing (owner of Better Homes and Garden magazine)in 1959. He continued to head up Replogle until his retirement from the company in 1969, when he was appointed by U.S. President Richard Nixon to become ambassador to Iceland. One of the most well-known globe models in the world was developed during the Luther Replogle years. It took 3 years for the cartographers to draw and research this huge globe that many U.S. Presidents have proudly owned. The Diplomat model is a 32” diameter globe with over 22,000 place names. (Many of the standard models contain around 4,000 names.) The globe is illuminated from the inside and rests in a handcrafted hardwood stand. Its tooled, solid brass meridian allows the user to completely turn the globe upside down to see Antarctica. The company has had several owners since founder Luther Replogle retired, including Meredith Publishing, the Bill Nichols family, and finally Herff Jones in 2010 (better known in the school market for class rings). At Herff Jones, Replogle became part of the Herff Jones Education Division, and the company was moved from the Chicago area to Indianapolis, Indiana. In 2014 however, with the lingering effects of economic downturns and a new globe product line that did not fit in with their established market, Herff Jones announced that they would sell part of the division and close Replogle Globes. Employee Joe Wright, then purchasing manager for the Education Division, approached Herff Jones management and expressed interest in an employee buyout of the company. Ultimately a group consisting of Wright, Clayton Chang, Mark Hoddenbach and Slavica Kutlic dug into their savings, put up their homes as security, recruited investors, and purchased Replogle Globes from Herff Jones on September 12, 2014. The new owners moved operations back to the Chicagoland area in Hillside, Illinois, just a few miles from the previous Broadview, Illinois location. Former employees were contacted and came back home to Replogle. There were many hugs and high fives as the experienced group got back to work making some of the finest globes in the world. While Replogle Globes continues to offer the traditional lines of globes such as heirloom floor models with hand crafted globe balls and wooden bases, the line has continued to grow to include interactive smart globes such as the Intelliglobe II, a designer series globes for the home/office décor market as well as custom designed globes for brands and companies around the world.